English: The Flag of Dominica. 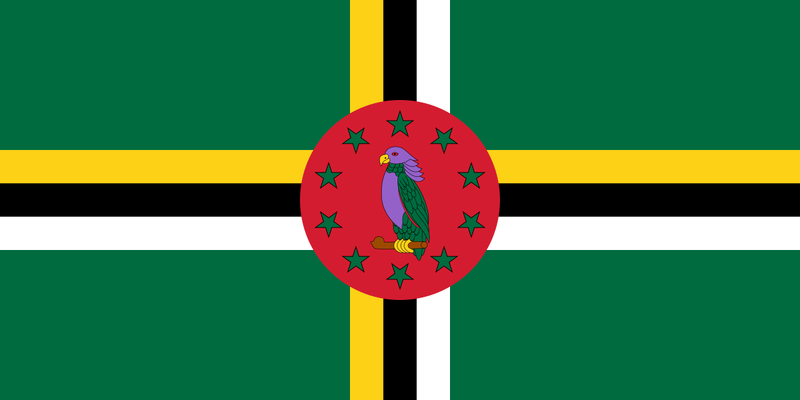 Fonte Opera propria: Flag of Dominica originally from the Open Clip Art website. Redrawn by User:Vzb83 except for the parrot. Colours are adapted from FOTW Flags Of The World website because of the currentness (refreshed 2001). The colour sceme is found at the government website of the Commonwealth of Dominica and THE WORLD FACTBOOK of the CIA. 12:00, 5 ago 2011 600 × 300 (28 KB) OAlexander~commonswiki Code clean-up; more manageable nominal size; enabled view-boxing; added "title"=tag.